At Workaway we absolutely love getting to know you all whether it be meeting on the road, hearing stories through emails or by actually going on a Workaway trip ourselves. We couldn’t be prouder to be involved in such an inspiring community of travellers! This month we spoke to Saul from South Africa who’s just won December’s Workaway Travel Photo Competition with his picture from Greenland! For those who haven’t seen our Facebook page might not have witnessted how “controversial” his photo had become: it is so unbelievably amazing and magical that some of our FB fans even started doubting whether it was actually Photoshopped! Let’s find out what it’s like to go on a Workaway trip to one of the most remote parts of the world! Hey Saul! Congratulations for winning the Photo Competition, and thanks for letting us interview you this month! 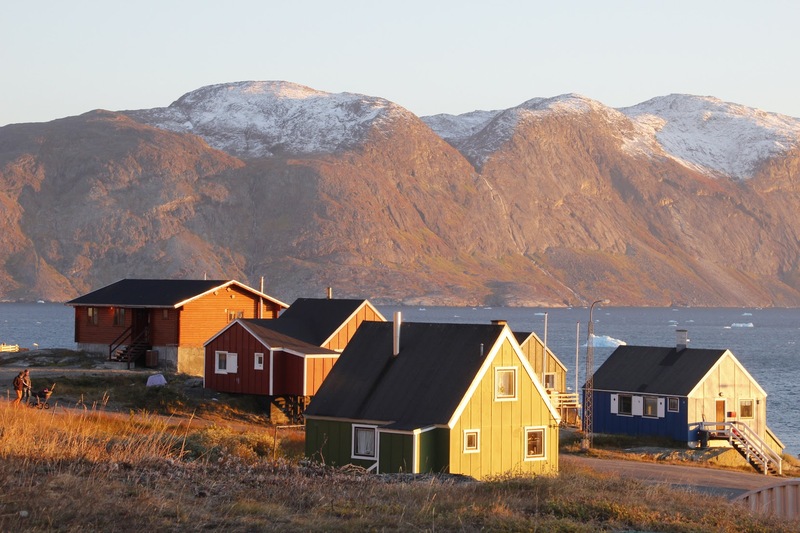 Fitting in with the festive period, your trip to Greenland looks epic! Can you tell us more about your current Workaway exchange and what it involves? My pleasure! 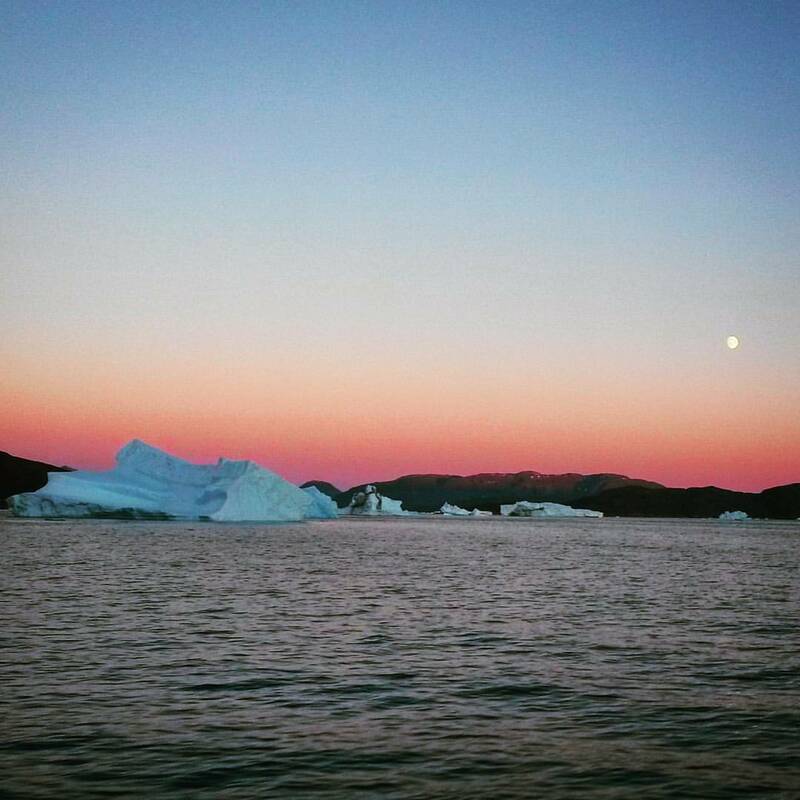 Thanks to Workaway this year I was fortunate enough to fulfill a lifelong dream of mine: experiencing life in a farflung and remote place like Greenland (as well as seeing icebergs and glaciers up close and in person). 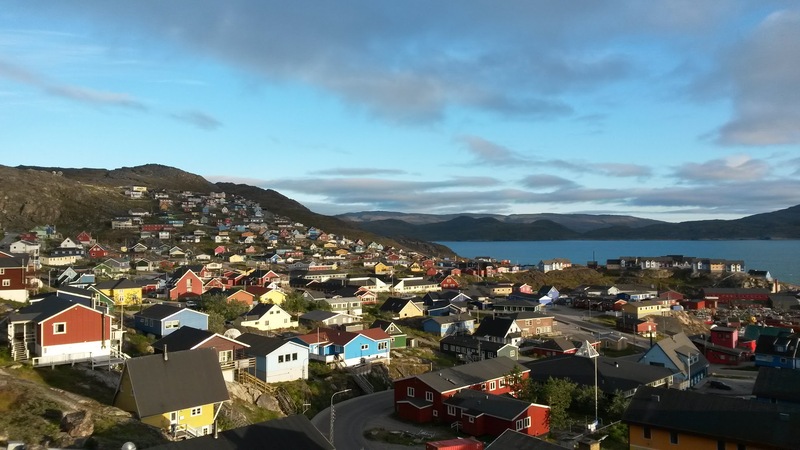 My Workaway adventure took place in South Greenland to be more precise, primarily in the town of Narsaq, from where I have recently returned home. 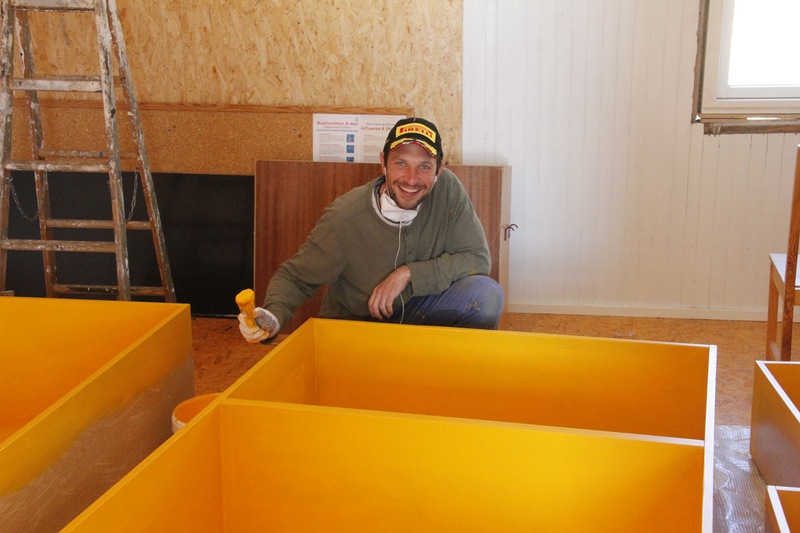 I spent almost 3 months there, helping my hosts with a number of different projects; like painting their office, helping to affix a new facade to their workshop, house and dog-sitting while they were away for two weeks on holiday as well as a number of gardening projects. What was it that made you choose Workaway? I discovered Workaway about 2 years ago when I started toying with the idea of doing some sort of volunteer travel exchange for an extended period of time. I basically just searched “volunteer travel” online and after doing a considerable amount of research I came to the conclusion that Workaway seemed like the best option for me. The main criteria I had while contemplating and ultimately planning this experience was that I wanted to go somewhere as remote as possible. Of course I also realised that Workaway allows travellers to experience a place first-hand from a local perspective, which is another reason I decided to choose the Workaway route. In the beginning of my planning I had no real clue as to where I really wanted to go. The fact that there are Workaway hosts in virtually every country on the planet (I mean I went as far as Greenland!) meant that I was certain to find a suitable host/situation that would satiate my craving for adventure. You certainly did choose one of our more ‘remote’ locations. 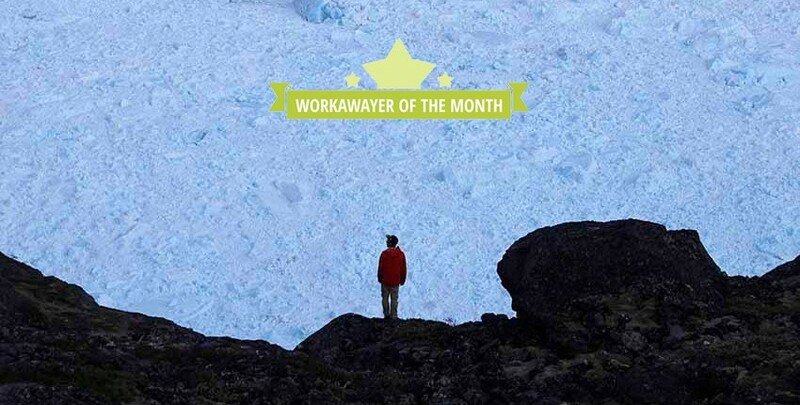 How do you think travelling through Workaway is different from other kinds of travel? Do you think you can experience more? 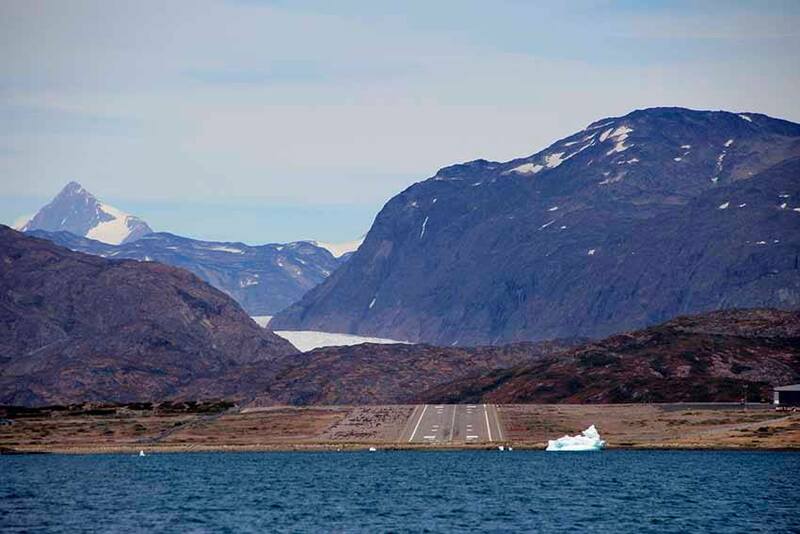 Having to catch a helicopter to and from Narsaq as there’s no airport (or for that matter any roads connecting to the nearby airport town of Narsarsuaq) and enjoying the spectacular views of ice-filled fjords and snow-topped mountains. Hiking a few days through Mellemlandet, a pristine wilderness where I got to sit on a glacier, swim in an icy glacial lake as well as hike to a most magnificent viewpoint overlooking the highly active Qooroq glacier and the ice fjord that’s fed by it. We also saw and heard some amazing calvings coming off the glacier. It was truly one of the most incredible things I’ve ever witnessed. Watching the Northern Lights dance above the sky on clear crisp nights. Taking numerous boat trips with my hosts to see the highlights surrounding Narsaq, such as the nearby big town of Qaqortoq, quiet Greenlandic sheep-farming villages and communities, incredible viking ruins (including the Hvalsey church which is the most well-preserved viking ruin in the whole of Greenland), and mighty glacial waterfalls plunging into the fjord below. And meeting some of the warmest, kindest and most generous people I’ve ever had the pleasure of encountering. Most notably my hosts, Paul and Monika, who took me in almost as if I were a member of their own family. Wow, you sound like a true explorer! What an incredible journey! What is the most valuable lesson you have learnt through cultural exchange? The work that I was doing in Greenland involved somethings which I hadn’t really done before. Never having really worked with power tools, this was definitely a skill I started to develop more through this Workaway experience. Of course I did also pick up a few words and expressions in Danish and Greenlandic. In addition to this, I found my hosts to be extremely practical in the way that they live their lives. Living in as remote a place as Greenland forces you to become quite self-reliant, so this is definitely something that has inspired me in my life to be more hands-on and try new things, even if they may seem difficult and daunting at first. Have you had to overcome any obstacles while on Workaway? How did you overcome them? 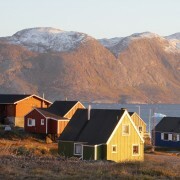 Because Greenland is part of the Danish Kingdom, the main languages spoken in the country are Greenlandic and Danish. Unfortunately, these are both languages that I do not speak, so I definitely felt the effects of the language barrier during my time there. I can recall numerous occasions where I was unable to take part in conversations going on around me because of this. Of course people went out of their way to accommodate me and spoke English as much as possible, so I certainly appreciated those efforts. Probably the biggest challenge for me though wasn’t the language barrier, but rather me missing my boyfriend, Oliver, back home. While I unquestionably had the most incredible adventure, one that I know that I will cherish for the rest of my life, upon reflection I realise that the greatest thing I learnt from this whole experience was how much I value our relationship. I guess it’s like that cliché says absence makes the heart grow fonder. And what is the funniest thing that has happened to you while on a Workaway experience? The funniest incident was when I lost my phone, which I had been using as a camera. One day I decided to go pick some of the wild blueberries and arctic crowberries that grow naturally around Narsaq. That particular day I was out for a good hour or two and had managed to collect a rather large amount of berries. When I returned home however, I quickly realised that my phone (which I had taken along to take photos) must have fallen out of my jacket’s pocket while I was lying down picking the berries. Initially I felt a sense of panic, and ran out of the house shouting and wailing profanities at the top of my lungs while trying mindlessly to retrace my steps and recover the lost phone in the thick sub-Arctic vegetation. I later found out that my hosts (who were working within earshot on their workshop not too far away) had heard my cries of dismay and mistakenly thought that they were the intoxicated howlings of a local drunk. We all thought that was rather funny later that evening. Oh whoops, it happens to the best of us! 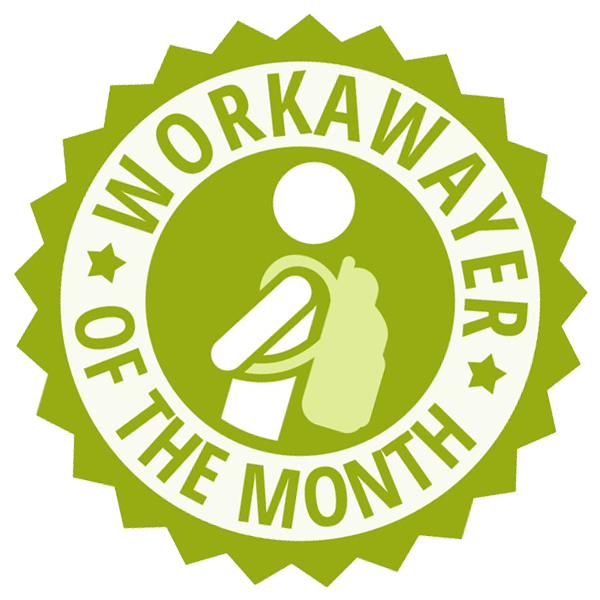 You seem to have learnt a lot from your first Workaway experience, if you could give any advice to new Workawayers what’d it be? If you’re thinking about doing some Workaway, don’t procrastinate, just go out and do it! Whatever your experience will be, I have no doubt that it’ll be something that’ll land up becoming one of the best memories of your entire life! Thanks so much for chatting with us today Saul, your pictures are making us envious (and a bit chilly) and we can’t wait to go exploring Greenland one day ourselves! What are your plans for 2016? I am now back in Cape Town and have just started a new and exciting job. I do definitely look forward to some more exciting Workaway adventures in the future. There are so many places in the world that I would love to go to and I know that Workaway will feature in many of travels to them. 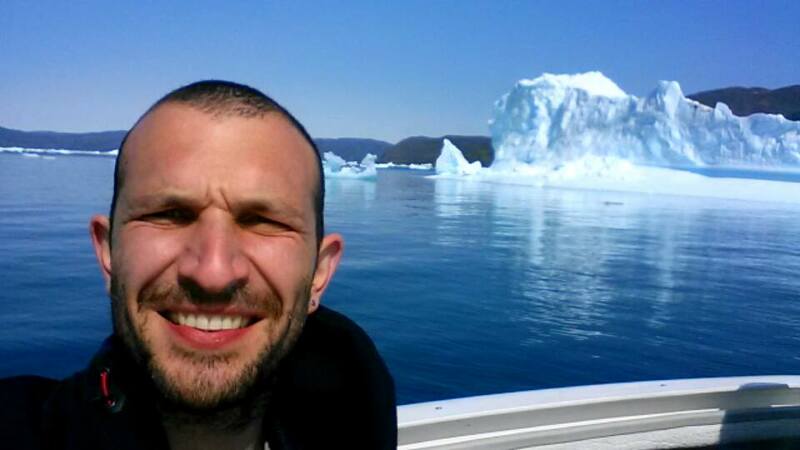 In conclusion, I would just like to thank Workaway and most importantly my hosts, Paul and Monika, firstly for inviting me to come to Greenland and finally for making the entire experience the incredible once-in-a-lifetime adventure that it was. To say I am grateful and blessed for this experience would be a real understatement. Thank you! Thank YOU once again for being a part of Workaway and for being so inspiring! The feedback that they both left for each other on Saul’s Workawayer profile gave us such goosebumps! 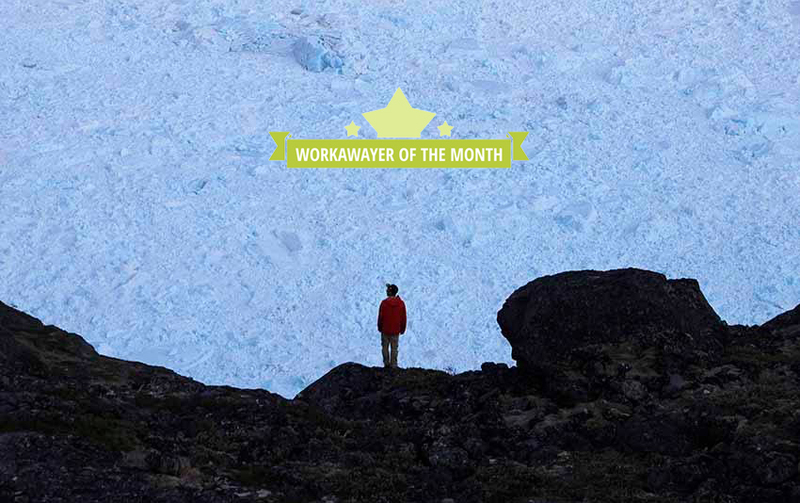 We LOVE our job and we LOVE learning about fellow Workawayers — do you want to be featured as our next Workawayer Of The Month? 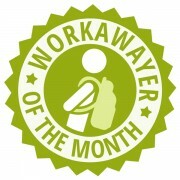 Email us over at community@workaway.info! amazing !!! 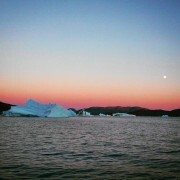 greenland will probably be my next trip and if i could workaway there it would be amazing !!! This is exactly the kind of thing I want to do. I have my eye on Newfoundland. How does one get to Greenland? Mads Frost måske en tilføjelse til dit Grønlands-eventyr? Uh hvor spændende! Må jeg ligge se nærmere på! Logän Graham check out this website. We met such cool people in Thailand doing work away.